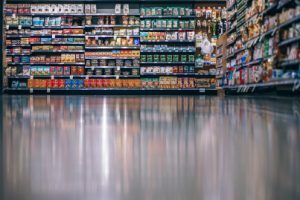 The convenience store industry is constantly changing and most convenience store owners never really know what to expect. This is mainly due to the dynamics of the industry – a 24 hours a day, seven days a week, 1 million customers per day traffic type of industry. It is difficult to keep up with the emerging trends for the convenience store industry because they are constantly changing. A convenience store loan can provide your business the financing it needs for success in this dynamic industry. Convenience stores have always been important for US consumers given their fast paced lifestyle. With so many people today working and living hectic lives, focusing on quick and affordable food options and services into a your convenience store business will help increase annual revenue. But the financing required to meet this goal will be a difficult challenge to the business owner. 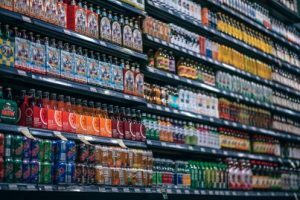 Financing for a convenience store business can be difficult due to the nature of the industry and a traditional bank’s uncertainty about lending to single proprietor or young businesses. As a result, a traditional lender will require years of financial and credit history together with asset collateral to decide whether it is a prudent financial risk to approve a convenience store loan. Often a convenience store loan will require a minimum of two to three years of successful operations to be considered. The good news is that a convenience store business is no longer dependent on traditional financial institutions. Nexus Financial Services offers convenience store business owners alternative financing options, like a small business loan and a merchant cash advance, to allow owners the capital they need to strengthen their business and take advantage of new opportunities. Whether your business needs new equipment, additional inventory, more personnel, room to expand or an acquisition opportunity you don’t want to miss, we can help you obtain the financing your business needs to make it happen. Our convenience store loan and merchant cash advance are designed to help you start your business, manage the challenges as you build your business, or support you through the seasonal slow times of your industry.